Dynamation Research carries government and aircraft industry approved specification primers topciats and coatings. 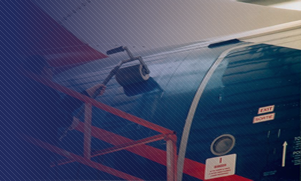 Our aircraft paints and coatings products are qualified for a variety of applications. Click here to search our Aerospace Paints and Coatings and request a quote. Below are just some of the many brands we carry. nd Coatings. Qualified Products for a variety of Applications. Akron Paint & Varnish Akzo American Chemical Bostik Courtaulds Crown Deft DeSoto Dexter DuPont General Electric Goodyear Hydrotherm Koppers Krylon Lord Sikkens U.S. Paint and others. B & E Electroform Co.
Boyd Coatings Research Co. Inc.
Dixie Industrial Finishing Co. Inc.
Electro Star Industrial Coating Inc.
Flamemaster Corp. Chem Seal Div. Hohman Plating & Mfg. Inc.
McLube Div. McGee Industries Inc.
Paramount Metal Finishing Co. Inc.
Technology Assessment & Transfer Inc.
Trojan Powder Coating Co. Inc.